You know the old question. Does size really matter? Well, in the world of business ownership, the answer is a resounding YES! Magpies Gifts is proud to count ourselves among the more than 28 million small businesses that call the United States home. What exactly is a small business? According to the U.S. Small Business Administration, it’s any independent business with fewer than 500 employees. And, as you might guess, we make up a majority of companies out there. The Saturday after Thanksgiving, November 26, is a big day for companies like ours. It’s when we ask our friends and customers to step away from those Turkey Day leftovers and support their brick and mortar businesses. Like the big box stores, the holiday season is an important time of year for us. Yet, unlike those stores, most small businesses don’t have the budget it takes to advertise (or even offer) big doorbuster deals. Oftentimes these businesses, as with ours, are owned by families. And, while unbelievable bargains might not play as large a role in our shops, we take pride in making shopping an experience, rather than a chore. 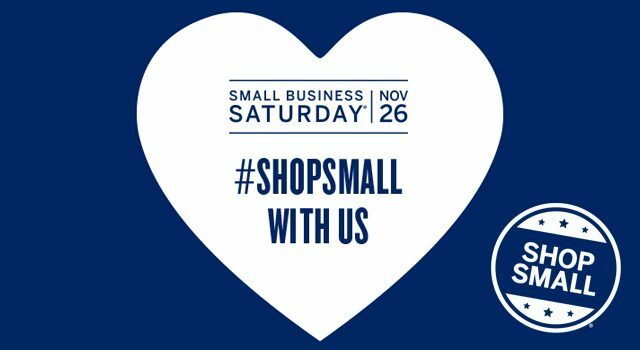 We hope you’ll stop by and see us on Small Business Saturday! In fact (and this is just between us) we’ve got a special in-store surprise for those who do. Then, please take the time to visit other worthy small businesses throughout the Greater Houston area, too. There are an awful lot of us out there, and we all appreciate the support!